I reecently shared this image of a test pinning session over my princess dress (well underdress- it’s going to be used under a few gowns. But I haven’t shared the images that inspired them. 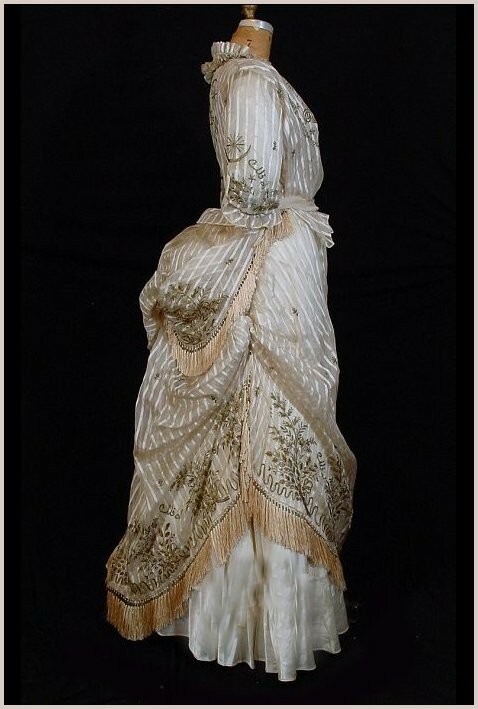 Over the years I have hoarded images from eBay sales as often the display does not do justice to the gown but do offer fantastic chances to understand contructions and physical properties. Or sometimes there are amazing finds. The two overgowns below are from such finds. 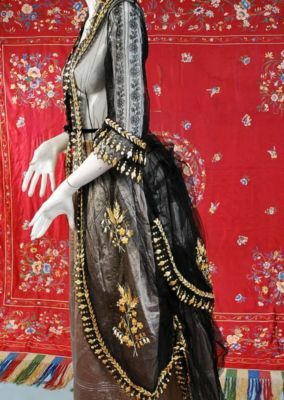 They have a few things in common- polonaise style with a shorter bustle feature. These interior views are so important, this method of construction is pretty standard for the time but you can see how fit was achieved very differently from now! This is an example of how a garment can be made up by a number of individuals working separately and then bring completed parts together for a final fitting. There are interior views of men’s doublets of the 16th and 17thC that show their methods of assembling and then fitting a garment from standard patterns as well! There are a few books that delve into this history of clothing construction, and over the years I have been creating a mental library of everything that matched what those books share or added to. I love knowing the hows- it helps explain the overall look of an era and how modern construction can run very counter. 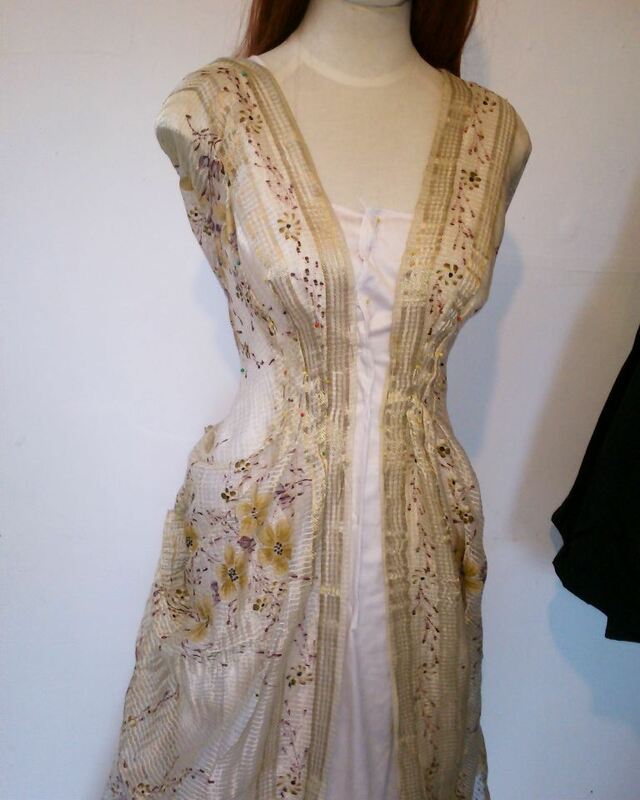 Side note, my Reinette is pretty similar to this, but I used a firm canvas. My shell fabric though was a flimsy georgette so I had to back it, I used a satin faced fabric and had to overlock all the internal seams as they frayed.